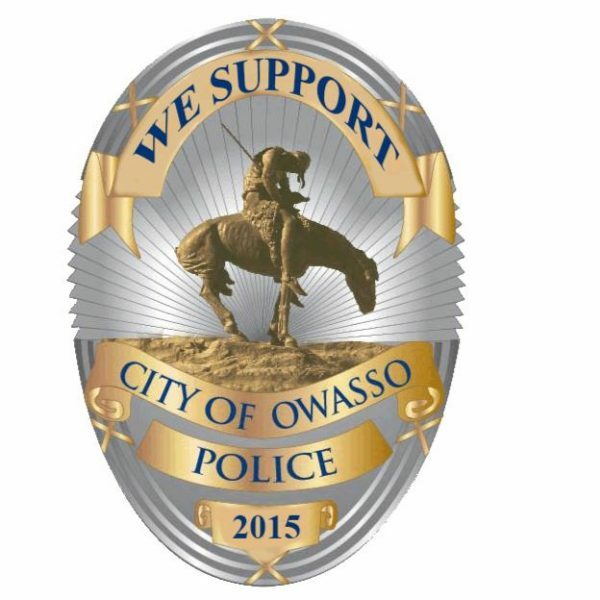 11/05/2018 – In October, the Friends of Owasso Police foundation notified the Owasso Police Department it was donating $10,000 to the department. This donation was a result of a generous donation from Jim Glover Dodge, Chrysler, Jeep, Ram, Fiat. The department was asked for a list of needs and specific items were chosen by the Glover family to fund. Owasso Police Chief Scott Chamblis says donation will fund the purchase of fifty electronic ear muffs. These muffs will be utilized by officers when they are conducting firearms training. The muffs are vital to a safe training environment and help prevent hearing loss. The donation will also fund modifications to forty department owned rifles. The lights attached to these rifles will be upgraded with a higher quality light that provides better low-light illumination. Quality and reliability low light illumination are critical components for handling dangerous situations that necessitate the use of a rifle. Quality illumination also helps increase the likelihood that an officer can clearly see if a threat does or does not exist. Community partnerships are vital to the continued success of the police department in detouring crime and ensuring the safety of Owasso. Officers rely extensively on the tools of their trade and donations are a great way to achieve purchases that the regular budget can not accomplish.